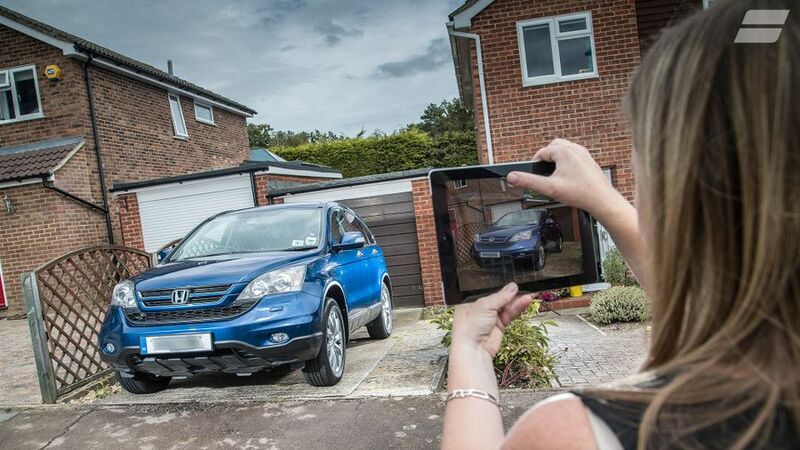 More and more buyers are using finance schemes to buy new and used cars, but what happens when you need to get rid of the car before you've finished paying off the full amount? More and more cars are being bought on finance these days, and that’s no surprise, given the fantastic car finance deals available. However, selling a car with outstanding finance without telling the buyer is illegal. Until the finance is settled (i.e. until you reach the end of the finance term), the car is still owned by the finance company, so it’s not yours to sell. There are ways to settle your finance and sell the car, though. You cannot sell a car with outstanding hire purchase (HP) finance, as the lender is the legal owner of the car until the finance is settled. To sell a car with outstanding HP finance, you’ll have to end your hire purchase agreement early. To do this, you’ll need to contact your finance company and ask them for a settlement figure. Once you receive your settlement figure, you’ll have a set period of time to pay it off. Once you’ve paid it all off, the cars will be yours to sell. Check your contract for confirmation of whether you can return your specific car. Generally speaking, you should be able to return the car if you’ve paid off less than half of your agreement’s total cost, provided you repay remaining instalments so you’ve paid for half the car’s value. If you’ve already paid more than half the car’s total cost, which in both instances should include accumulated interest and additional fees, you probably won’t be able to return your car. Does your HP agreement have a voluntary termination clause? If your HP finance agreement includes a voluntary termination clause, you should be able to return the car without making any additional payments. This shouldn’t affect your credit rating. Note that voluntary termination is normally only offered if you’ve paid at least 50% of the total cost. Will I have to pay an early exit fee on a hire purchase agreement? Check your contract for mentions of early exit fees. Often, contracts specify you’ll pay 1% of your outstanding total, or 0.5% if you’ve got less than 12 months left on your contract. You normally won’t have to pay interest, though some contracts specify you’ll pay interest rather than charges if you’re paying less than £8,000. Can I sell a car with outstanding personal contract purchase (PCP) finance? Until you have repaid your personal contract purchase (PCP) agreement or paid a settlement figure, you cannot sell the car. As with a hire purchase agreement, you should check your contract for early exit fees and voluntary termination clauses. You’ll normally have two options. First, you could pay off the PCP agreement early and sell the car once you’ve paid the agreement figure off. In some instances, it may cost less than continuing to make monthly payments. The second option is to return the car. As with HP finance agreements, you might be able to return the car if you’ve already paid half the agreement off (including interest and fees). And don’t forget you may be able to top up the difference in a final payment so that you can return the car. How can I end the finance term early? If you do want to sell the car, you can, but you have to settle the finance agreement first. Fortunately, you have the right to end a finance agreement early at any stage; and, if you took out the finance after February 2011, you will have been given full details of both you and the lender’s rights when you started the policy. The first step is to contact the company that provides the finance – you can find their contact details on the paperwork they supplied – and ask for something called the ‘settlement figure.’ This is the sum of everything you need to pay to end the finance agreement and may include various charges and possibly an ‘early exit fee’ on top of the basic amount you still owe. It will also detail the date – the ‘settlement date’ – by which the payment must be made. If you don’t pay by the settlement date, you’ll have to ask for a new settlement figure. However, once you have paid off the necessary amount and settled the deal to buy the car from the finance company, the car is yours to sell. Do I have to do all this work myself? Normally, yes, this would all be up to you, but it is possible a retailer or company will arrange to pay off the outstanding finance as part of the deal to buy the car. According to Liam Missen, from our partner Zuto Car Finance, “You may have the option to sell a car with outstanding finance as part of a refinancing deal for your next car, but before you do this, it’s worth finding out if your current car finance is in ‘negative equity’. “To do this, you need to obtain a settlement figure from your lender and get a value for your current car [which can be done through Auto Trader’s free valuation service]. If this is lower than the settlement figure, you’re in negativity equity, so will need to weigh up if it is worth hanging on to your vehicle until later in your current finance agreement. “If you decide to proceed, you can then start looking for a new car and approach a lender or broker to discuss refinancing options. If approved for refinancing, your new finance deal will include the cost of the settlement figure to pay off the existing finance along with the loan amount for your new vehicle. Can I sell my car to pay off finance? This might sound good in theory but remember you can only sell your car once you have settled the finance agreement, and you can only do that if you have access to a lump sum in the first place that will let you do so. Or, as above, you can sell your car as part of a refinancing deal. However, the words of warning remain the same: given the charges that could be involved when ending the finance agreement early, it’s possible the car could be worth less than the settlement figure, leaving you in negative equity. That means, even when you sell the car, you could still be left out of pocket. The finance company will give you full details of the costs involved in settling the finance; and if you want to find out how much your car is worth, you can use our free valuation service. Can I sell my car while I'm paying off a loan? Yes, you can, because paying off a loan is a very different situation to when you’re paying off finance. With a finance deal, the deal is secured against the car, but there’s no such link with a personal loan. The car is your property from day one, and you can do what you want with it. However, remember that, even when you’ve sold the car, you still have to finish paying off the loan.